The US foreign policy stance on Israel-Palestine has shifted considerably in recent years, from a position of "Israel only" to one which embraces both Israel and Palestine in a call for peace. This volume assesses why the US stance has evolved in the way that it has, concluding that while international factors cannot be overlooked, developments within the United States itself are also crucial. 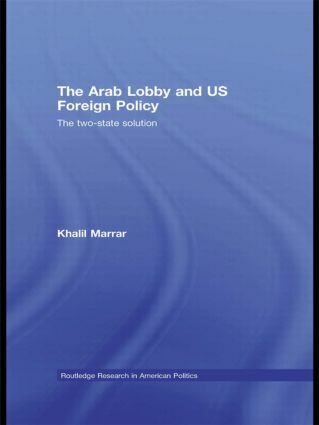 Khalil M. Marrar is Professor at DePaul University, USA. He has taught courses in history, religion, and political science at various institutions. While specializing in the Israeli-Palestinian conflict, his research interests include international relations, American culture, foreign policy, political organizations, and terrorism. He has served in editorial positions at the Arab Studies Quarterly and the Association of Arab-American University Graduates.